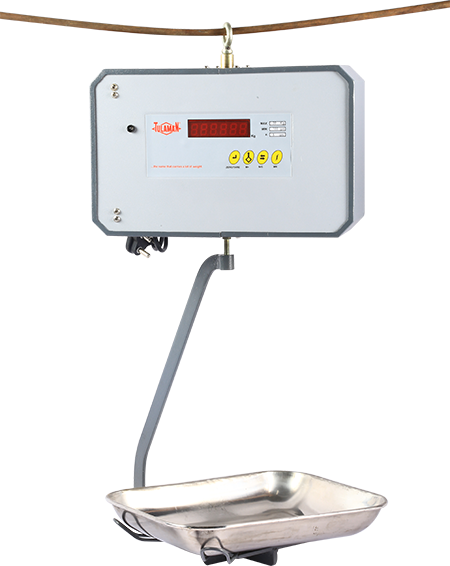 Hanging scale is a multi-purpose weighing device, used to Poultry, Meat, Seafood, Vegetable and Dairy products. Our Hanging scales are made to work in adverse climatic conditions that prevail in fish markets, vegetable markets, dairies and such other humid places. Note: Tulaman factory-trained engineers provide professional installation and after-sales maintenance. Tulaman also undertakes preventive maintenance through an Annual Maintenance Service Contract. Tulaman’s After-Sales-Service keeps your scale working at top efficiency at all times. © 2019 Hyderabad Tulaman Pvt Ltd, All Rights Reserved.